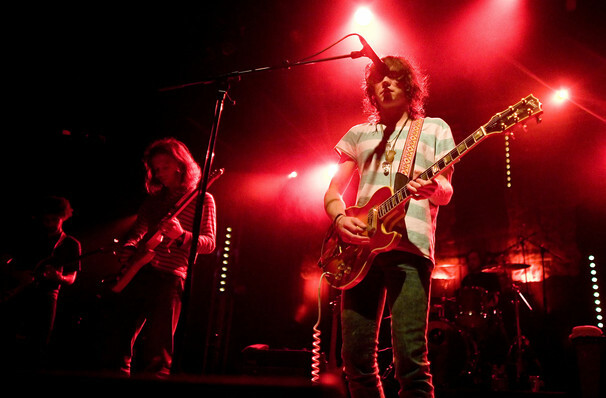 Brooklyn's MGMT surged to stardom between 2007 and 2009 with their now-classic debut album Oracular Spectacular featuring hit single 'Time To Pretend', 'Kids' and 'Electric Feel'. Head down for the best in electronic indie-pop. 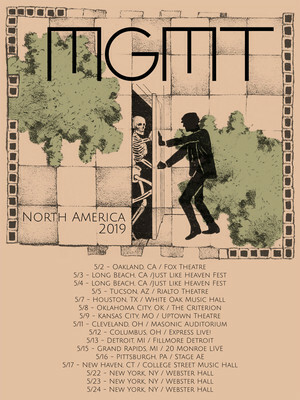 This year sees MGMT hitting the road in support of their fourth studio album, Little Dark Age, released in 2019. Little Dark Age follows MGMTs Grammy Nominated 2007 debut, Oracular Spectacular. In an interview with MGMTs Andrew VanWyngarden, he stated that the album was more relaxed than previous releases. Expect to hear singles 'When You Die' and 'Hand It Over' in an evening of psychedelic pop perfection. Sound good to you? Share this page on social media and let your friends know about MGMT at The Criterion. Please note: The term The Criterion and/or MGMT as well as all associated graphics, logos, and/or other trademarks, tradenames or copyrights are the property of the The Criterion and/or MGMT and are used herein for factual descriptive purposes only. We are in no way associated with or authorized by the The Criterion and/or MGMT and neither that entity nor any of its affiliates have licensed or endorsed us to sell tickets, goods and or services in conjunction with their events.